Val Hoeppner is a frequent speaker at media industry conferences and workshops. Session topics change as our industry and technology evolve. Video offers your audience a front row seat to history, a chance to feel as if they are intimately connected and an opportunity to deeply understand an issue. This session will help you decide what video strategies to adopt, what technology to use and how your entire staff can contribute video stories. Reaching new audiences is easier than ever with social media. Knowing where to invest your time is the challenge. Periscope, Snapchat and Facebook’s deep dive into video are changing the way we reach our social readers. Learn how to use live video, Facebook video and Snapchat to mine new audiences and be creative with social stories. Create SnapChat stories that engage new audiences in this hands-on workshop. Learn to use photos, graphics, text and video to create a “My Story” in SnapChat. This workshop also explores third party apps like VideoShop and Upload and Roll that allow you to create stories outside the SnapChat app. Don’t have a mobile app? Need to reach mobile users? Social media offers a variety of tools and techniques to reach readers, drive traffic to your digital stories and brand your media company with millennials. In this session you will learn to use live video, create mobile and social silent video, create SnapChat stories, and exploit Facebook and Twitter as publishing platforms. Demand for short, timely video is high on all news web sites. In this session you will learn how to shoot three of the most common types of short videos with a smart phone or tablet. The focus is on 30-60 second video that requires no or very minimal editing and can be posted quickly. Skills include sequences of shots, getting high quality audio from your device, shooting the best five shots, and more. Video storytelling helps our audience understand people and issues in a deeper, more lasting way. Video editing sharpens the story and grabs audience attention. Learning the principals of video editing will help you tell better stories more efficiently. In mobile video editing sessions I demonstrate the use of iMovie, which is a multitrack editing app for iOS devices. Live streaming video and social video are two of the hottest topics in mobile storytelling. Apps like Periscope, Meerkat, UStream and Snapchat make streaming live video easy and accessible. Learn to use the best apps, shoot the best video, get quality audio and how to interact with viewers during your broadcast. This workshop will focus on helping reporters work and publish in the field with smart phones and tablets. During the workshop we will explore some of the best apps on the market to write, edit and send stories, photos, audio interviews and documents. We will also look at equipment that will help make the most of your mobile technology. Social media skills are a must for anyone in today’s communications world. This session will help you find the right niche, the right tone and the right timing to engage your audience. If it doesn’t work on mobile, it doesn’t work. Learn to cover daily and breaking news for multiple platforms including mobile, web, tablet and print. This session covers what to break for mobile, how to add multimedia elements from the field and how to expand the story for tablet and print readers. Video and interactive content is a must for news websites, smart phone and tablet apps. 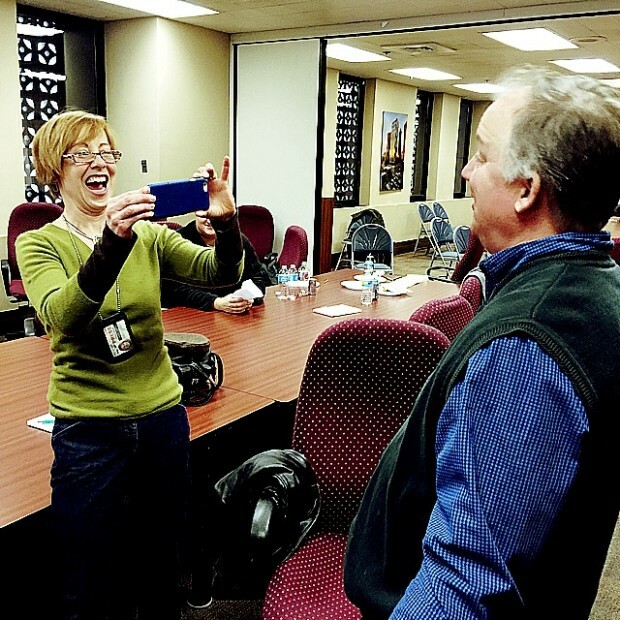 This workshop will teach reporters and photojournalists to how to plan for multimedia and develop strategies for covering breaking news, daily stories and longterm projects. Easy to use, free and cheap interactive tools included in this session. Video is a critical part of every news organization’s digital strategy. Learn to shoot short-form news and entertainment video, techniques for efficient video shooting and editing. In custom training sessions learn to plan, shoot and produce long-form video stories. This training can be done with hands on exercises using DSLR cameras or other video equipment. Technology has changed the way your audience consumes content. It has also broadened the scope of your audience. Learn about your digital and mobile audience and how best to engage them. This session looks at real time analytics, social media and digital/mobile publishing strategies. Video is a critical part of every news organization’s digital strategy. In this one-day workshop learn best practices for video interviewing, capturing high quality audio, shooting efficiently and editing your story. This is a hands-on session, participants will shoot and edit a video story. DSLR cameras are the most cost effective way to shoot both still images and high quality video. In this two-day workshop you will learn best practices for video interviewing, capturing high quality audio, shooting efficiently and editing your story. This is a hands-on workshop, participants will shoot and edit a video stories.